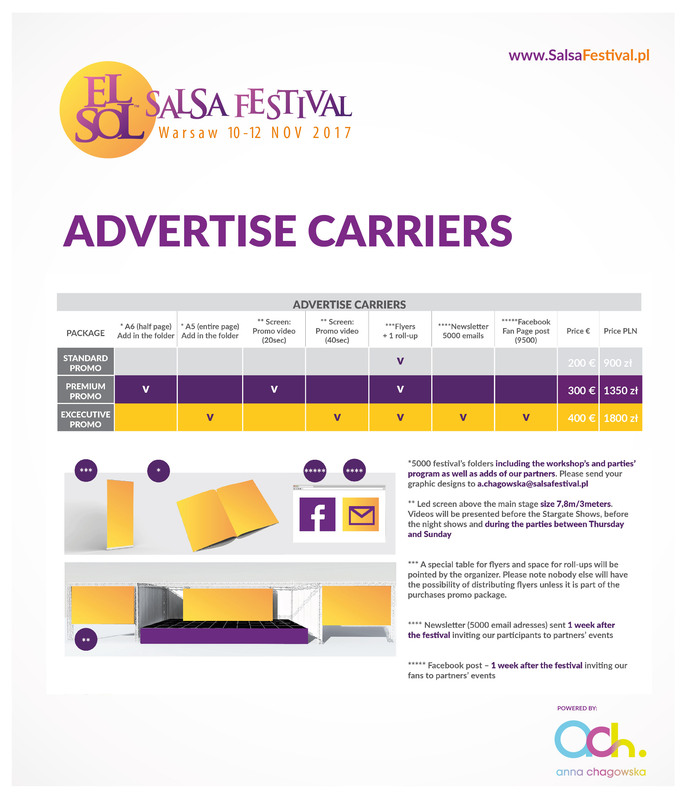 Advertise your event or product at one of the biggest and most prestigious salsa festivals in the world. Over the last 12 years we have created a strong brand and we are expecting 5000 participants from all parts of the world in 2017. 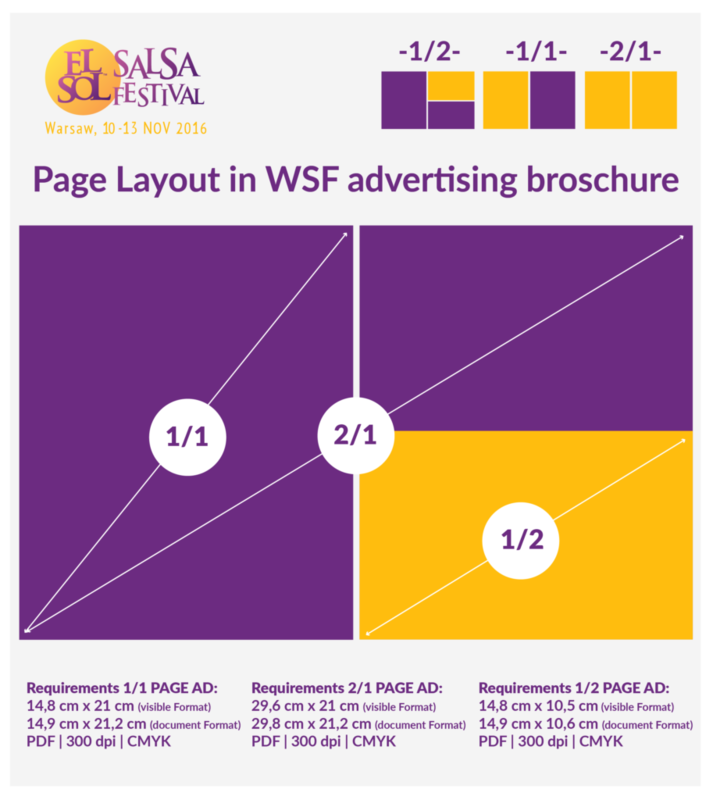 It is a perfect place to inform your potential customers about your event or product.